Friends with old dogs often succumb to the belief that their faithful rover secretly desires a playmate, an eager, energetic puppy. Much depends on whether an old dog wishes to learn new tricks, whether the elder canine cares to mentor a younger one. I thought of this scenario as I brought home my ’97 Discovery I SE last April to join my 51-year-old Series II-A. Would the two Rovers get along? 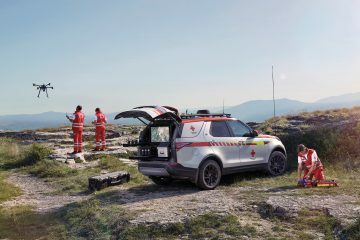 For a few months, the two Land Rovers co-existed peacefully. The QE I, the II-A, continued its role as the work vehicle, towing landscaping gear, boats and utility trailers across this island. The Discovery largely sat, waiting for me to clean up enough to enter it as well as getting all the lamps working prior to qualifying for a state inspection sticker. 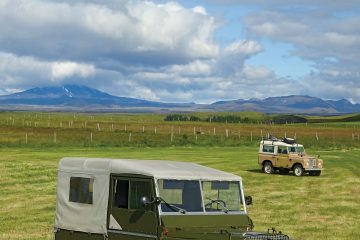 The two Land Rovers would rest each night in proximity of each other. 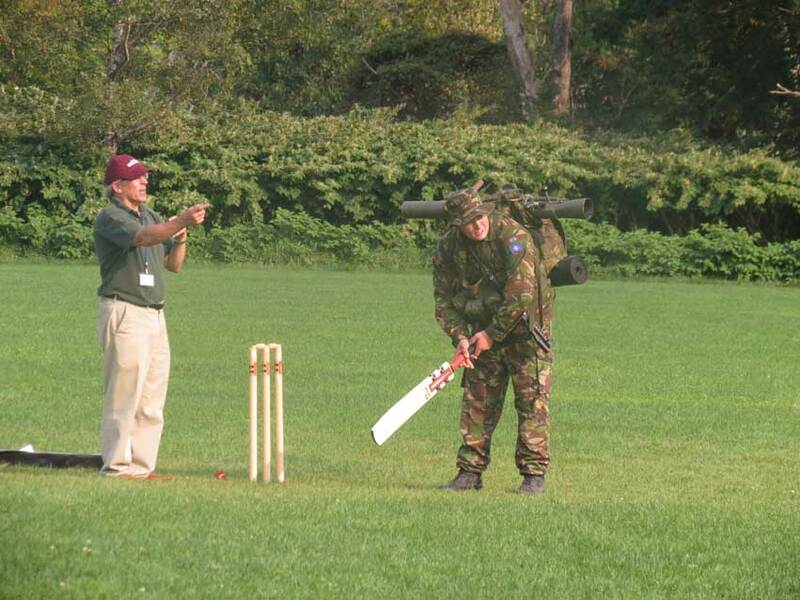 Proving that an old dog can teach a new dog new tricks, the D1 developed a starting problem. Turning the key would result in the most mournful sound, like a sad hound dog, and very little starter action. On more than one occasion the smell of electrical wiring simmering permeated the interior. Assuming the worst, I ordered a replacement starter from Rovers North and pondered the next step. A few years ago, I had replaced a starter on a friend’s Range Rover Classic. That required a vivid imagination [you can’t see the starter bolts from above], the use of every socket extension I owned, the purchase of unique Allen wrench sockets, long bouts of leaning over the right-side fender, a stiff drink and an appointment with a massage therapist. As painful memories flooded my soul, I called a local garage to beg time on their lift. Surely the starter would be easier to reach from underneath than above — errr, not really. As the mechanic sought to remove the one bolt that held the ground strap in place, he called out to me, “It’s loose!” Huh? A new starter had been installed only a couple of months earlier — how could it loosen so quickly? With the starter removed, he tried to screw the bolt back in, but it became bound up about three-quarters of the way. A tap of the threads enabled the replacement bolt (with a standard hex head, a gift from reader Mark Nichols), to tighten up completely — and the current starter to operate perfectly. Clearly the last starter replacement had been done by feel from above, and a slight cross-thread resulted from it. Those symptoms and the simple solution are built into today’s more complex vehicles; they could only have come from a Series II-A. The QE I lowered its headlights and pleaded the Fifth. Little did I know what schemes it had hatched in retribution. Over the July 4th, the QE I decided, “Enough!”, and went all The Sopranos on me. While towing a trailer filled with landscaping gear, it stymied an effort to shift from 2nd to 3rd gear. The “bang-bang” sound startled me and I quickly double-clutched and returned it to second. Trying the shift again only resulted in resistance, so I limped home, emptied the trailer, and parked the Land Rover. With the motor off, I found the shift lever would move within the II-A’s generous H-pattern. 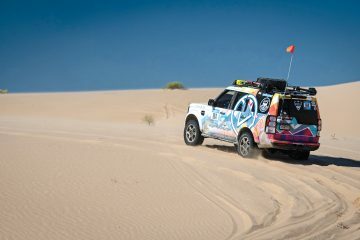 However, with the Rover parked on a slight hill, the car would also just roll backwards when in 3rd or 4th gear. Not good! Nearly two decades ago, the QE I’s transmission had required a rebuild. The gear teeth looked thoroughly chewed up and the 3-4 synchro rings had dissolved into the gear oil. While I was in there, it seemed like a good time to replace all the bearings, washers and clutch plates. I’m sure I spent more time cleaning every part in kerosene than I did actually assembling anything, but the end result was a smooth shifting, functional transmission. I pondered tackling the job one more time until Rovers North said they had a rebuilt II-A transmission ready for shipping. I decided to take the easy route out; as we go to press, it’s on its way and ready for installation. Good thing, as it’s time for the QE I to get back to work! 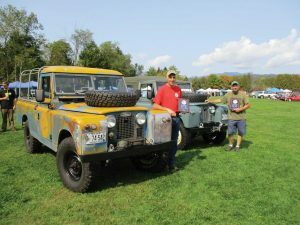 For the past 27 years, the ski resort town of Stowe, VT, has opened its doors in early foliage season to 500–600 British cars for the British Invasion, an event that celebrates brilliant engineering and design, “Bob’s Your Uncle” manufacturing, dodgy wiring, leaky gaskets, bangers and mash and beers that do not require a lime to make them palatable. Between the entrants, their guests, punters and oglers, around 2,000 people enjoyed the weekend. 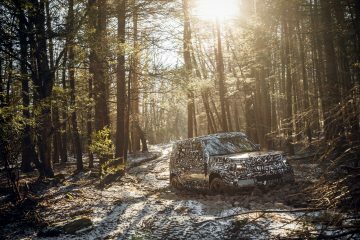 For Land Rover enthusiasts, the vehicles present matched the splendor of the early foliage colors. One silver entrant caught everyone’s attention — the Centre Steer prototype re-creation from the High Meadow Farm collection. Owner Jim Macri and master mechanic Glenn Parent showed off the rolling chassis two years ago, and working with auto craftsmen throughout New England, created the running example on display this year. Working from drawings, photographs, interviews with UK experts and Land Rover historians, they brought back 1947 all over again. 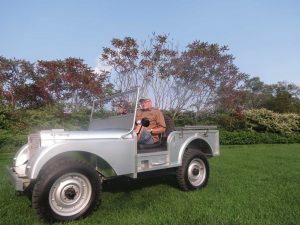 WWII Jeep frame and rear tub? Available Rover car engine? Unique shift and free-wheel levers? 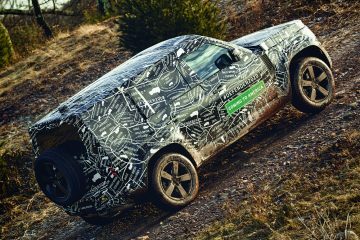 Hand-shaped body panels? Checked all boxes. Listening to the engine provided the ultimate joy. It joined the other spectacular restorations of Series I–III examples and an NAS Defender in their terrific display area. 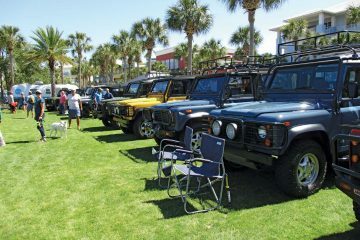 Rarer Land Rover models filled the field this year. 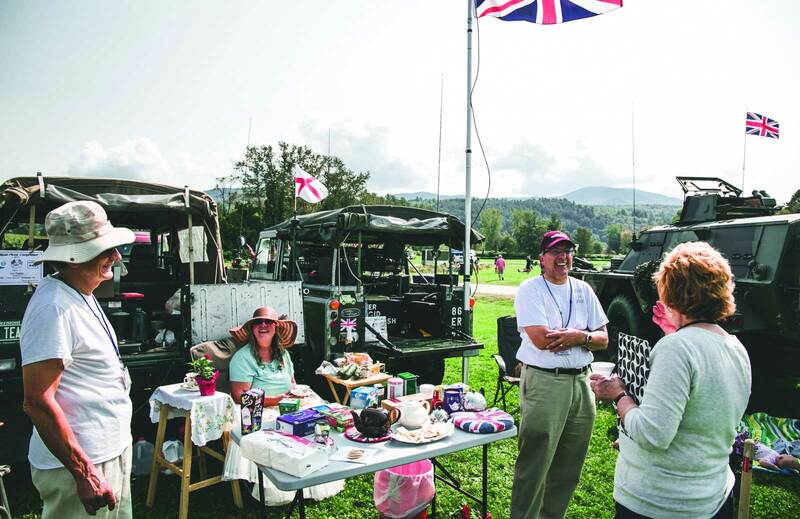 Bill and Patty Cooper, Blairstown, NJ, brought their kitted-out “Pink Panther” military. Chris Velardi, Hamden, CT, brought his storied FC 101. Derek Chace, Richmond, VT, led the charge in military kit with a Saracen 6-wheel and a Marshall ambulance. Rare sports contributed to the event, as Rovers North’s Les Parker set up a cricket pitch to teach the uninitiated how to play the strange game. Bill Marinaro, Manchester, VT, drove his handsome ’91 Range Rover Classic, one previously owned by JLR off-road event specialist Bob Burns. 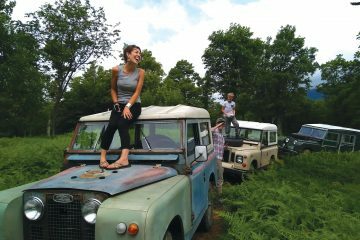 Michel Bertrand, Kinsey Falls, Quebec, found his ’91 Defender 110 in Belgium while working in France. With 265,000 km on it, the 200 Tdi has finally been broken in. Sheila Harley, Oberlin, OH, put the top down on her Evoque for her trip east. How many times do you see Series pickups? Colby Morris, Shelburne, VT, brought his patinaed ’59 Series II. 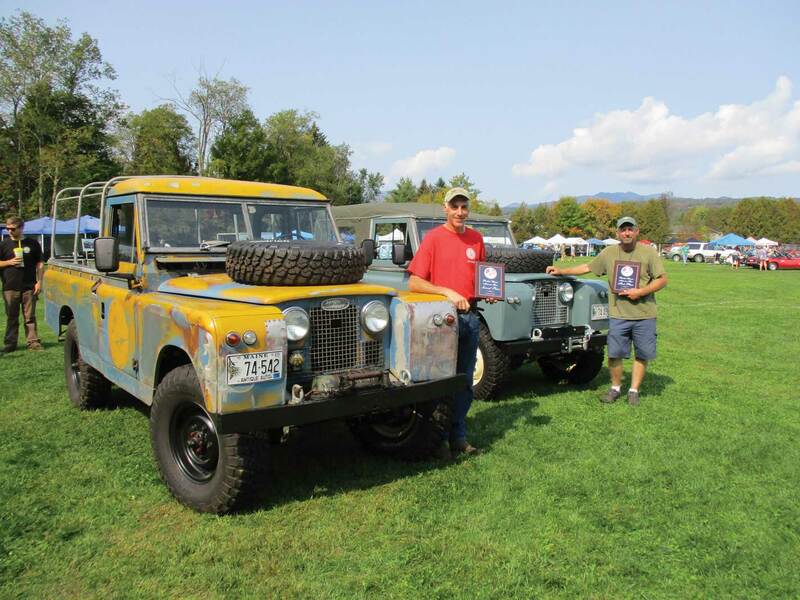 Mike Capozza, Portland, ME, found his multi-colored Series II-A pickup in the Great North Woods town of Patten, ME. 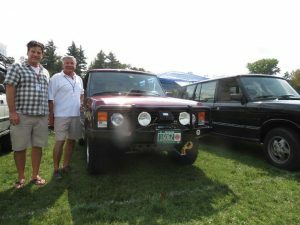 Pat Thibodeau, Leeds, ME, and Mike took “People’s Choice” honors for the Series class, too. 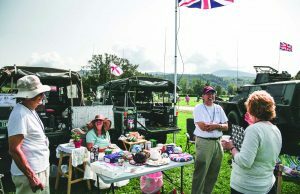 The real fun at a field event comes with the connection to Land Rover enthusiasts. I know that Rovers North’s Mark Letorney, Les Parker, Steven Herr and Dillon Bonk had an equally great time with the Solihullistas present that weekend.